Undertaking a bathroom renovation project can be quite a daunting task. Where do you begin? Will you be making small changes or would it be a complete makeover? Who will be using the bathroom? What is your budget and how many years do you plan to live in this home? All these questions can help you start with a basic plan and come up with an initial budget estimate. In addition, the following renovation tips and easy ways to renovate a bathroom can help you out. In this step, you start by making a list of your necessities and desires. For example- you certainly need a storage cabinet and a sink since the older one is leaking but, you do not really need a new toilet or accessories since you can make do with the older ones. So, start by making a table in MS Excel (or other tools you like) having columns like Items, Wants, Needs and Price. Go on putting a Cross or a Tick mark against each item in the Wants or Needs columns and list down the price by doing some research online. This step will help you come up with the initial bathroom renovation budget and also help you while talking with a contractor. Here are some good websites having photos of designs and trends in bathroom renovation: This Old House and HGTV Designer Portfolio. The latter has nearly 5000 before and after photos of bathroom renovation. Deeper drawers of 21 inches instead of standard 18 inches for creating more space in smaller bathrooms. Tall and narrow linen towers for towel storage. These can be placed on the vanity countertop directly or can be mounted on the wall out of reach. No-threshold tub or shower cubicle. AARP has given some great tips for ease of bathroom accessibility for elders here. One of the easiest ways to enhance an older bathroom is by adding modern lights. Track lights, overhead hanging lights, spot lights, LED chain lights, floor lights and hidden diffused lights can help create a spa like atmosphere in the bathroom. This is one of the trendiest and easiest way to renovate a bathroom especially on a small budget. Worn out faded tiles create a dull and haggard look and just by adding fresh new tiles, you can give an instant facelift to the bathroom. Seek help from experienced contractors who can install environmentally friendly tiles. Make sure these also help you in discarding debris of the old tiles since some contractors tend to charge extra for that. Colorful trendy accessories can enhance a simple bathroom design without your having to spend too much. Buy ones that fit in your color scheme or you could also choose them according to the people using the bathroom. For example, for kids’ bathrooms you can choose popular character-based accessories like rugs, brush-holders, etc. 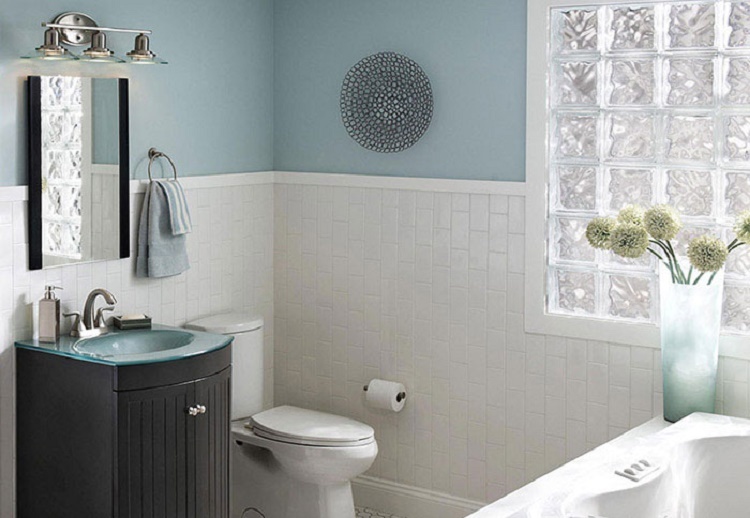 Applying a fresh coat of paint is also one of the easiest ways to renovate a bathroom. Select a paint that will last for years. Do make sure that there is no water seepage before you paint else your new paint can get damaged. Get all underlying issues fixed before you add the new coat of paint. Lighter colors are ideal for making smaller bathrooms look bigger but if you want a cozier spa like atmosphere you could also go for earthy tones – brown, dark green, tan, beige and so on. The Internet is an amazing source for you to know your options in bathroom renovation products. Here are some good websites where you can get an idea about the design and also approximate price range for each feature. 10. DIY or hired help? One of the most important questions to consider when renovating a bathroom is considering whether to go the DIY route or hire a contractor. 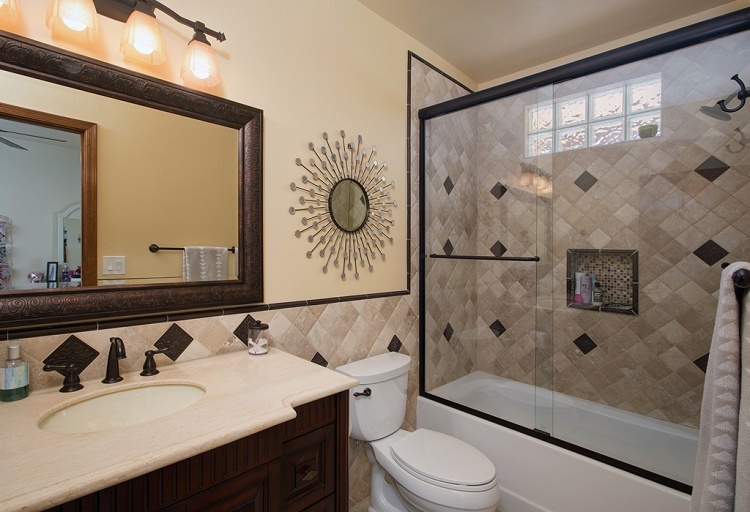 A good renovation contractor can help ease the process of renovating the bathroom. Seek references before assigning the task to him. If you plan on doing the renovation yourself, make sure you have prior experience in the matter. You might also want to get help from friends and family members to help or guide you when going the DIY way. When seeking bathroom renovation contractors, make sure you talk to at least 5 different companies. Check out their credentials, testimonials and references. Ask each one to give you quotations so you can shortlist a contractor who can work within your budget and your time frame. Sometimes, despite the best of your intentions, renovation projects can get delayed due to unforeseen circumstances. You might face shortage of material or accidentally damage some wiring or plumbing when fixing the tiles. So do not forget to set aside some cash for such unexpected circumstances. Whether you are adding an outdoor bathroom near the swimming pool, an attached one to the garage or simply renovating an existing bath- we hope these easy ideas help you as you renovate a bathroom.